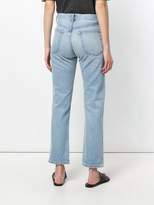 Austrian fashion house Helmut Lang has become a byword for minimalism, and continues to offer directional, low key styles executed in clean fabrics and muted colours. 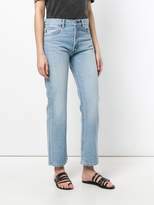 Made from a cotton blend, these mum jeans have a straight leg and a relaxed fit, with belt loops, a five pocket design and a slightly cropped length. 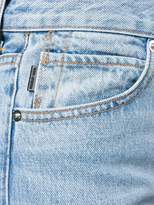 In light blue, they have a light stone washed design.